My name is pretty common, easy to pronounce. Ji Hye means wisdom and it was a popular name in the year I was born. At least in Korea, anyway. Kimmie: My last name is Kim. I don’t know who Kimmie is. Jai Hai: I don’t think so. Today our Noodle Shop had a business presentation and served pork buns for people. Kristen and I had so much fun presenting and lucky for us people laughed at our corny jokes. Just in case people didn’t laugh at corny jokes, as people tend to do at times since it’s corny, we also tried to distract them with pretty food pictures. BTW, the pictures are from our last test dinner and are courtesy of Lisa–a deli regular, kitchenchick blogger and Current magazine restaurant critic. These are the same pork buns we served today. A slab of Berkshire pork belly is dry rubbed then roasted slowly before being stuffed into a bun. Fits in your hand! So this past weekend Kristen and I visited Chicago for a little “research”. We visited several noodle shops and ate lots of food, good and mediocre. Yes, I’m calling in research. I can also go with “bench marking”. Pick your semi-business sounding word and that’s most likely what we did. Over the course of 2 days, we visited Urban Belly, Tank Noodles, Takashi, Lao Sze Chuan, Katy’s Dumplings, Be Le Bakery among others, so expect future posts on those visits. 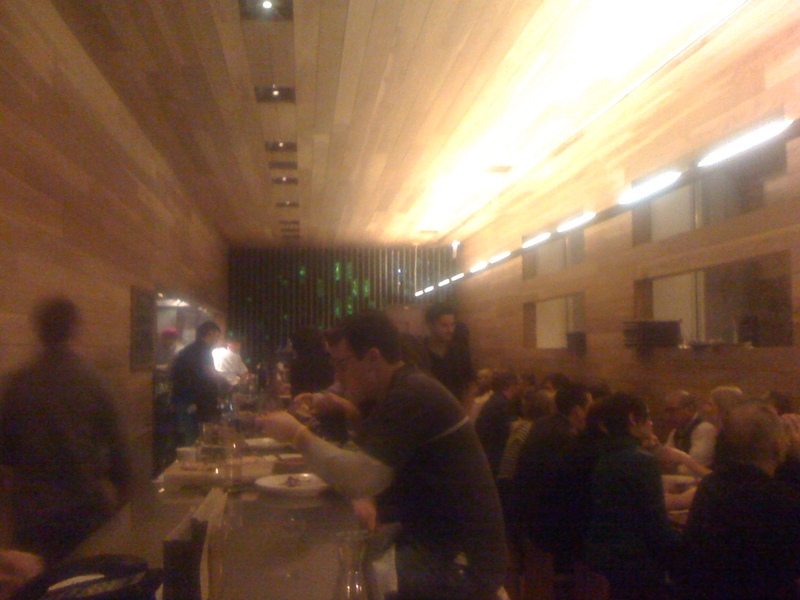 However for now, I want to talk about my visit to Avec after Kristen left the windy city a little early. 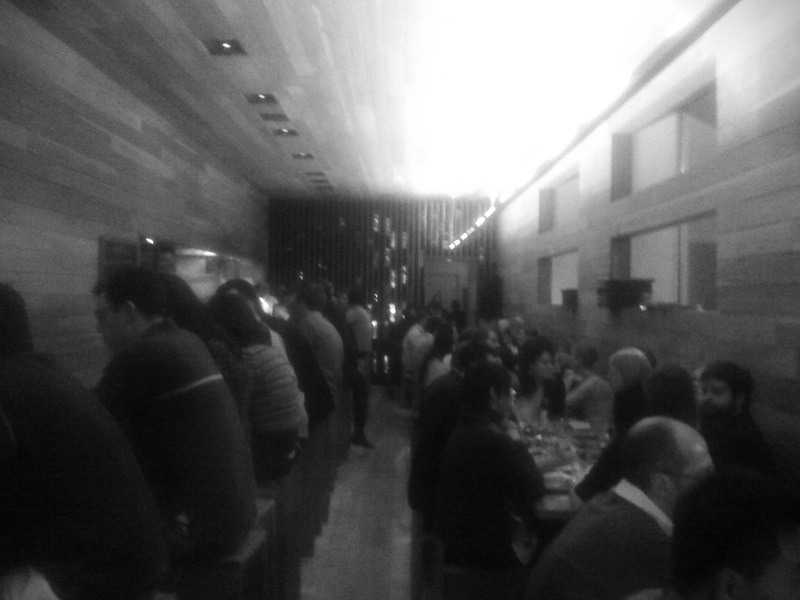 I know, Avec is not a noodle shop, obviously, but how Avec is organized spatially is smart. We can use smart. 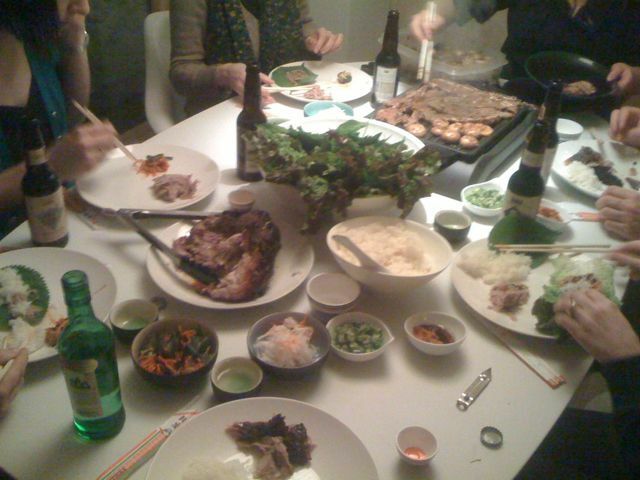 …oookay, this is not exactly the usual Friday dinner every week, but this is the usual party food at my place. So, I work at Zingerman’s, also known as “so much more than just a deli or a mail order”. I’ve checked out many a gourmet retail shops I’d rather not list and I can honestly say that we have the most thoughtful selection. Cheese, oil, vinegar or jams, our selection is vast yet cohesive, choosy with clear standards. But enough bragging, I want to talk vinegar. American made artisanal soy sauce, really? Really! Making soy sauce at home is a long drawn out process. I should know–my grandmother hung homemade soy blocks for fermenting from her ceiling facing the courtyard in her old house and she and my mother made miso and soy sauce from scratch. The whole process takes from winter to spring but it sure did taste good. But I am an American grown daughter. I have not used a homemade soy sauce since childhood. And with soy beans being one of the most genetically modified crops here, I would not even know where to buy high quality soy beans, the most fundamental ingredient. For convenience sake, I had mostly been using a store bought soy sauce from a Japanese corporation that shall remain nameless. Like most grocery-bought soy sauces out there, it tastes like dark salt water and not even great tasting salt water at that. Walking into an Asian grocery store to find a good bottle of soy sauce when you do not speak a common language can be intimidating, too. Every January and February, I sit down and make big batches of dumplings. Not that they are not any good other times of the year but the beginning of the year I especially crave dumplings. 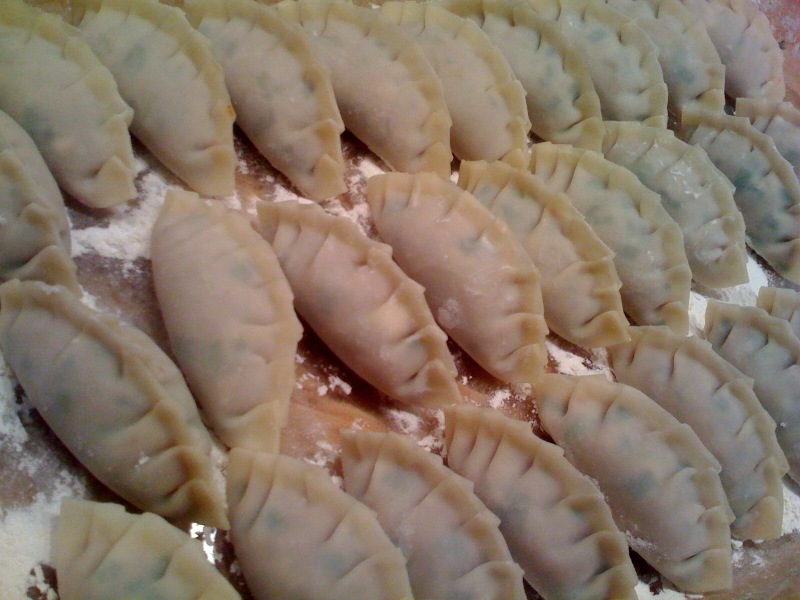 I have very fond memories of making dumplings with the whole family, every New Year’s celebration: everyone sitting around a large table, talking and laughing, with every surface of the house covered with trays of dumplings. We would make hundreds of them, eating plates and plates of dumplings as we are making more of them. It’s not that hard, I can make 50 in about 15 minutes once the filling and the wraps are made.